At the beginning of the year, DoE’s Office of Fossil Energy (FE) announced $4.8 million in funding for researching new technology in the fossil fuels sector. The idea behind the funding is that technological innovation has the ability to reduce the cost and carbon footprint of fossil fuels. The funding arrives as a part of the FE’s University Training and Research initiative. This initiative seeks to empower the next generation of problem-solvers, with the understanding that new voices bring fresh ideas to the table, and one of the areas that the new funding will target is blockchain. Blockchain has been viewed as an area that holds a lot of promise for securing the national grid against natural disasters and cyberattacks. The reason for this is blockchain’s ability to decentralize electric grids. The national grid involves an ever-changing system of supply and demand, and gathering real-time data from sensor networks is central to operations. Using a blockchain-based distributed ledger, a new system of data collection is now possible. Through decentralization, the sensor network responsible for adjusting the grid flow based on supply and demand would be updated to address the complex needs of our rapidly changing energy sector. By using blockchain tech in this space, the fossil fuels industry could achieve this kind of decentralized power grid, which would enjoy a much higher degree of security and flexibility than the system currently in place. The $4.8 million is just the latest example of federally-funded blockchain research, arriving at the heels of last year’s DoE blockchain investment in a Colorado-based startup called Grid7. 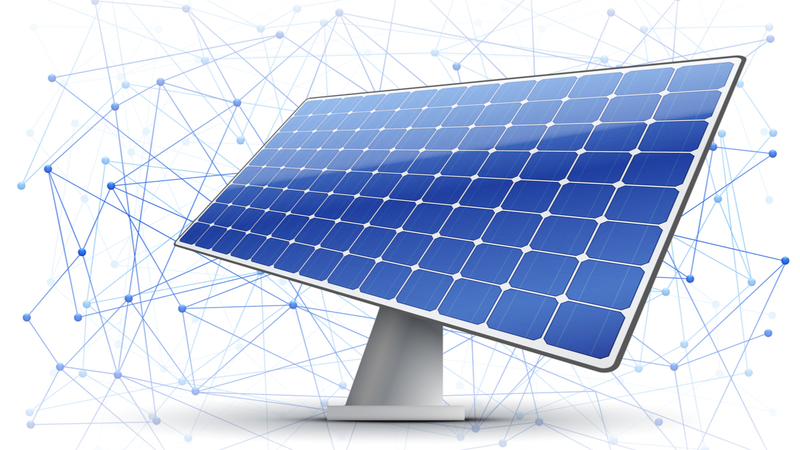 Under the Small Business Innovation Research program, DoE awarded Grid7 just under a million dollars to develop a a decentralized solar power system. The decentralized system will be able to gather energy data from homes, buildings, and electric grids using distributed technology. This emerging trend of federal investment in blockchain research is exciting for the technology’s future potential. Blockchain is still a young concept, and its wide utility continues to be fine-tuned to the needs of various sectors. Gaining support from the U.S. government further legitimizes blockchain technology’s capacity to transform the way we think about solving traditional problems with new solutions.